You can run the Receivable report showing head office total in one line which includes head office & branch office. This report is only for Gold V6. 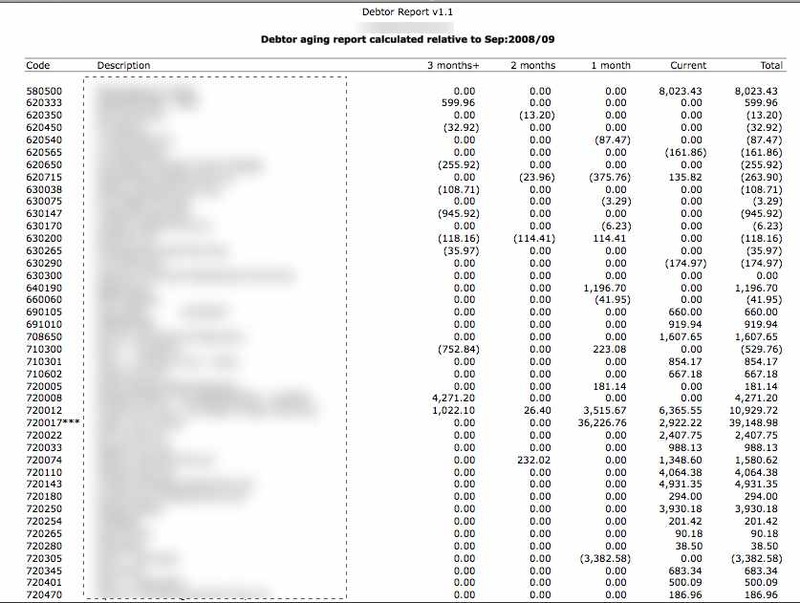 This report can produce a debtor aging report on the basis of due date; aging by period and days.